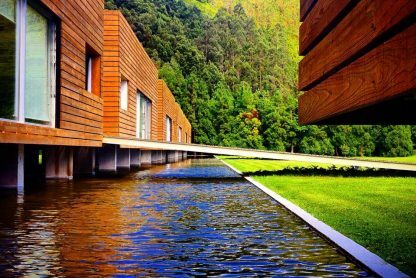 Join us for 5 day yoga retreat with Adam Husler in the remote and beautiful Azores. Our destination is Sao Miguel, the largest island of the Azores archipelago in Portugal. 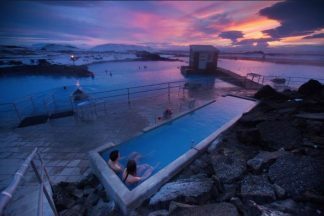 With its emerald beaches, dazzling blue lakes, waterfalls, volcanoes and hot springs this unspoilt destination is one of the Atlantic ocean’s best kept secrets. 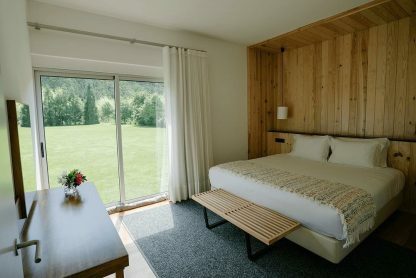 Our eco-retreat location is an acclaimed architectural family project featuring 10 Japanese cedar wood villas set in 100 acres of beautiful gardens and dense mountainous vegetation. 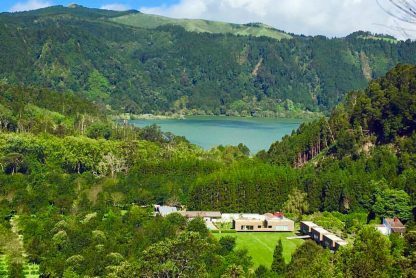 Located in the mystical volcanic Furnas basin and close to a crater lake and hot springs, from here you can enjoy several hiking trails or explore by mountain bike or horseback. Included in your retreat is a visit our local hot springs at Dona Beija for a night spa and a day out exploring the island. 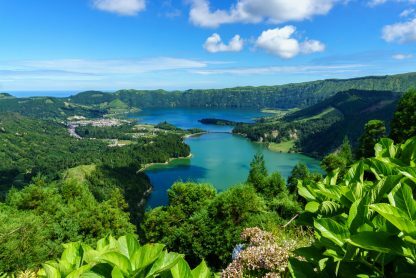 We visit the Pico do Carvao viewpoint, the Empadadas lakes and the famous Sete Cidades volcano, before heading to the thermal baths at Ferraria down by the sea. 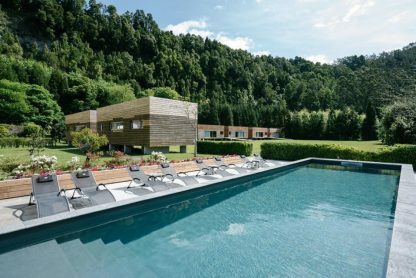 You can add extra hikes, whale watching or a sound healing session at the heavenly Terra Nostra botanical gardens. 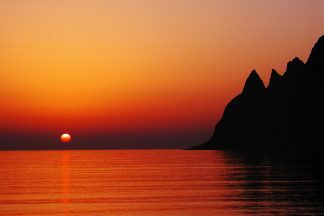 Your yoga retreat classes will be between 1.5 – 2.5 hours long and some will be workshop style so you can explore aspects of your practice in detail. Your afternoon classes will be longer than morning sessions to give you space and time to go deeper. 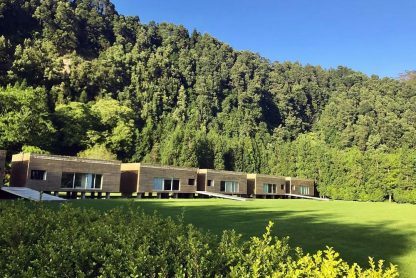 We have 10 Japanese cedar wood villas set in 100 acres of lush private land. The epitome of rustic luxury, our wooden villas have a unique appearance that blends in with the surroundings. The interiors are modern but cosy with panoramic views through the big south facing windows. The interior design follows the minimalistic Scandinavian style through simplicity, attractiveness and functionality. 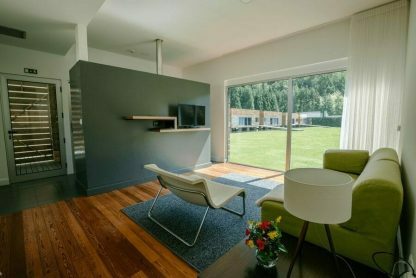 Neutral colours, large south facing windows and a contemporary fireplace in the living area are just some of the elements that stand out of the traditional Portuguese design trend. 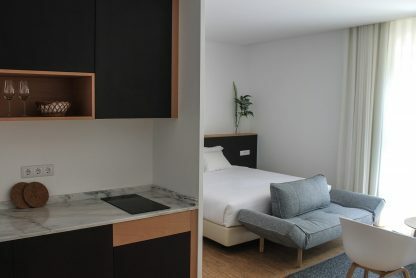 We have 7 large villas that are around 70m2 and feature a bedroom with a double bed or twin beds, a bathroom with shower and bath and stylish living room. We also have 3 smaller studio villas, facing the oak forest and hydrangeas plantation. These are around 40m2 with a double bed in the living area, a bathroom with shower and a private porch. Your meals will be created by our chef Bettina Campolucci Bordi. You’ll be served a Mediterranean inspired plant-based, low gluten menu. Your late summer menu will include plenty of cooked and fresh vegetables grown by local farmers. Expect a table filled with beautifully presented dishes at every meal. Hiking – drop and pick up 15€. Guides (if needed) tbc. 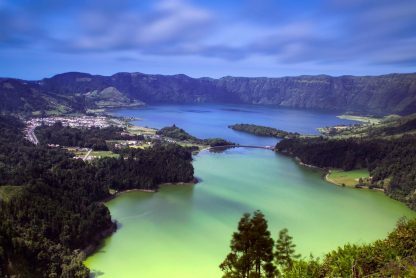 Flights: Our retreat takes place on the island of São Miguel. You should fly to Ponta Delgada. 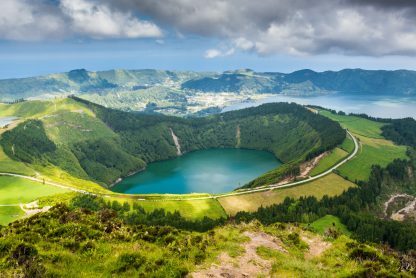 The Azores are pretty untouched, in part due to limited travel options so there is currently only one direct flight from London Stansted on 21st with RyanAir. You will have to fly back via Lisbon as there is no direct flight on 25th September. 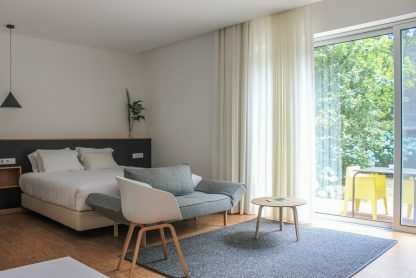 Transfers from the airport: Return transfers from Ponta Delgada airport are included in your retreat. Journey time is around 45 minutes and pick up and drop timings will be given when you book.